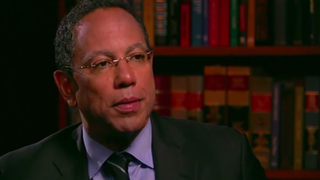 Dean Baquet will become the first African-American executive editor at the New York Times, replacing Jill Abramson, who leaves the top position unexpectedly. The news apparently stunned New York Times staffers, who did not see this move coming. On Wednesday Arthur Sulzberger Jr., publisher of the New York Times and chairman of the New York Times Co., first told senior staff of the changng of the guard and then informed the full newsroom around 2:30 p.m., the New York Times reports. While the reason for the change was not immediately made clear, Baquet—a Pulitzer Prize-winning reporter and a former editor of the Los Angeles Times—seems a fitting choice to lead the newspaper. "It is an honor to be asked to lead the only newsroom in the country that is actually better than it was a generation ago, one that approaches the world with wonder and ambition every day," said Baquet, who at the time of his appointment to helm the New York Times was the newspaper's managing editor. Baquet, 57, was born in New Orleans and has worked in the newspaper industry for more than 25 years, beginning in 1980 with his hometown paper, the States-Item, before it merged with the Times-Picayune, Businessweek.com reports. In 1984 he joined the Chicago Tribune, where four years later he led a three-member team that would win a Pulitzer Prize for in-depth investigative reporting on corruption among the Chicago City Council. According to Businessweek.com, Baquet left the Tribune in 1990 to join the New York Times, and over the next decade he served in several positions: first as a metropolitan reporter, then as special projects editor and as a deputy metropolitan editor. He would leave a national editor position at the paper in 2000 to join the Los Angeles Times. There, Baquet served as editor and executive vice president of Los Angeles Times Communications until November 2006, when he rejoined the New York Times as chief executive of the paper's Washington bureau. "There is no journalist in our newsroom or elsewhere better qualified to take on the responsibilities of executive editor at this time than Dean Baquet," Sulzberger said in announcing Baquet's appointment. "He is an exceptional reporter and editor with impeccable news judgment who enjoys the confidence and support of his colleagues around the world and across the organization." Abramson, who was appointed to the position of executive editor in 2011, was the first woman to serve at the helm of the New York Times. The reason for her abrupt departure was not made clear, with Sulzberger attributing it only to "an issue with management in the newsroom." In a statement to the newspaper, Abramson said, "I've loved my run at the Times. I got to work with the best journalists in the world doing so much stand-up journalism." For more on Baquet's background, go here. Read more at the New York Times and Businessweek.com.